Oh, Cinco de Mayo, how I love you- the perfect excuse to eat all the guac and drink all the margs! 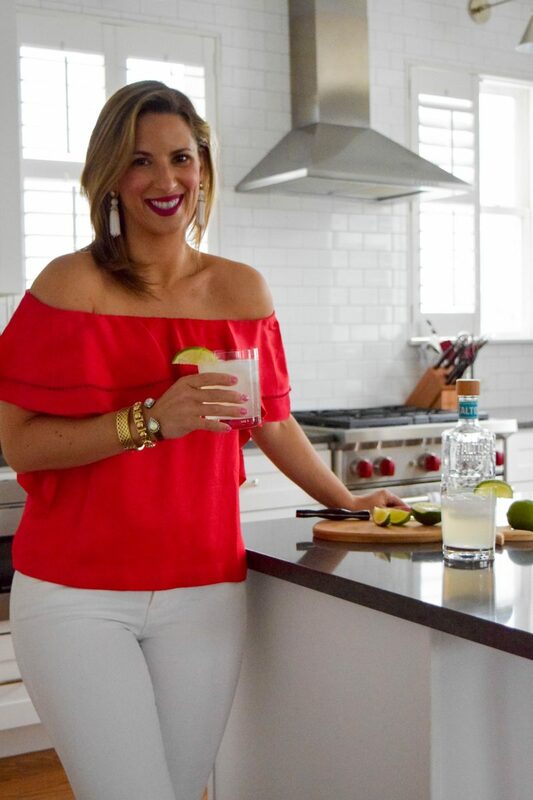 For this year’s Cinco de Mayo celebrations I wanted to try out a new cocktail. While I was in Puerto Rico I had a “Mexican Mule” at one of the bars we went to. I love re-creating cocktails I try out so I knew instantly this one was going to be on my list to try at home. 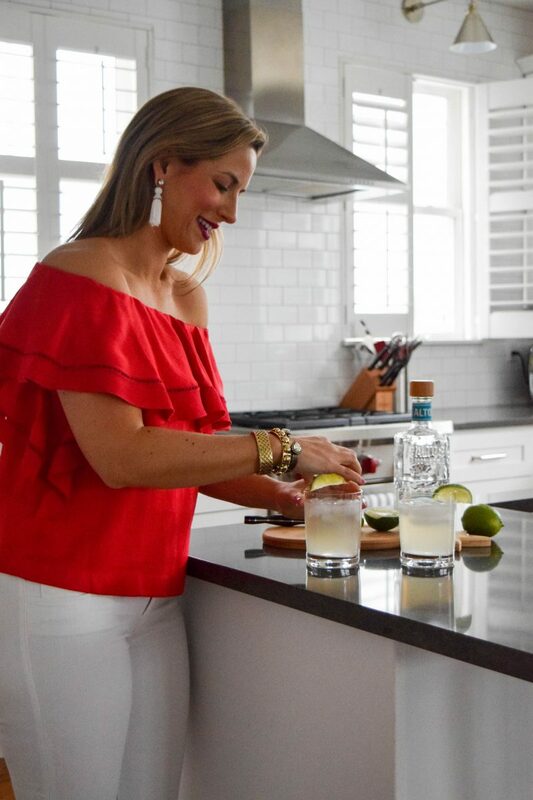 It’s a variation on the classic Moscow Mule cocktail, replacing vodka with tequila. I love that I have all of the ingredients at home usually, making it an easy one to make on demand. In a glass filled with ice, combine tequila and ginger beer. Stir to combine. Top off with splash of club soda and lime juice. 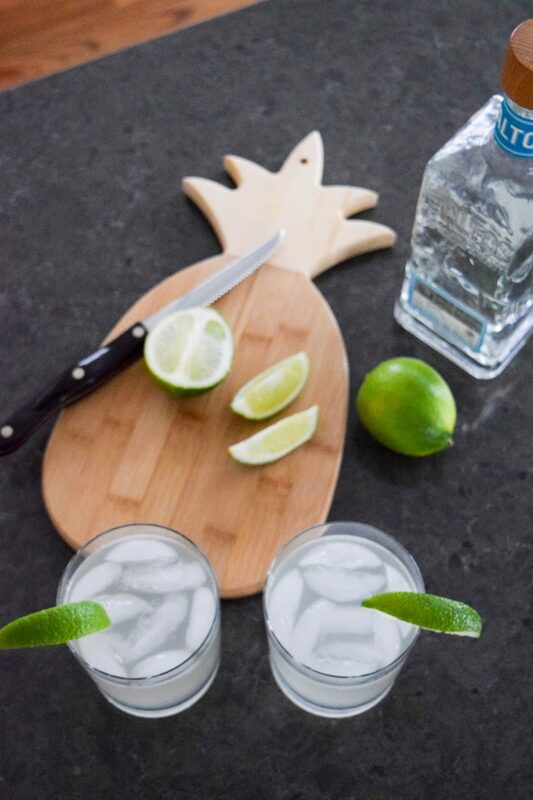 Add lime wedge to garnish. 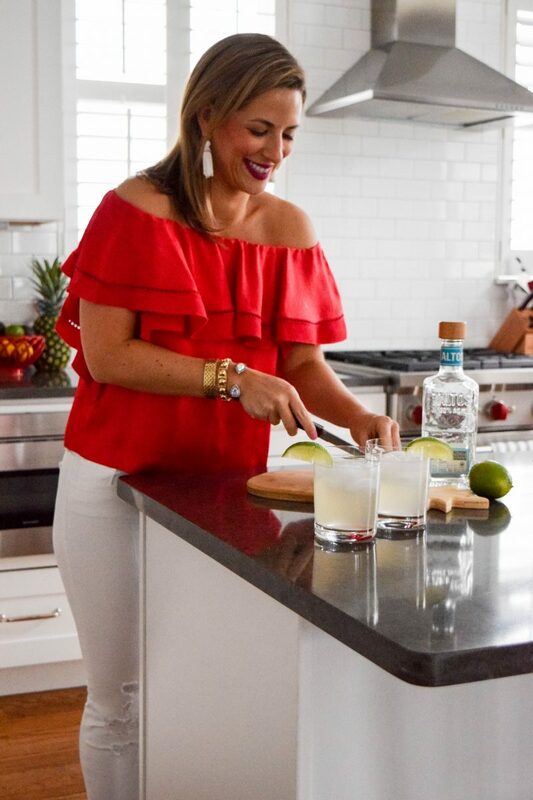 Cheers- and Happy Cinco de Mayo! Aw that is so much fun! Have a great time! xoxo! I want your kitchen (and that beverage)! Thanks Kristy! 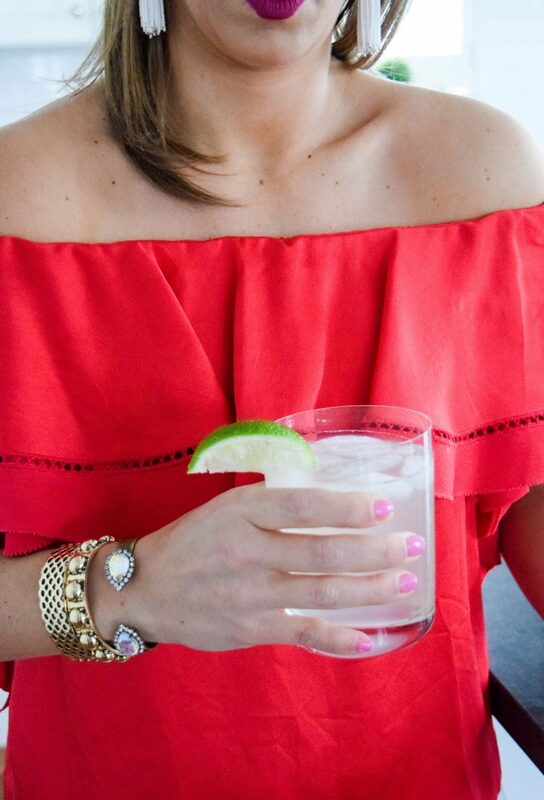 Cheers to Cinco de Mayo! this makes me want to have a drink! your outfit is so awesome! love the lippie also what shade is it? 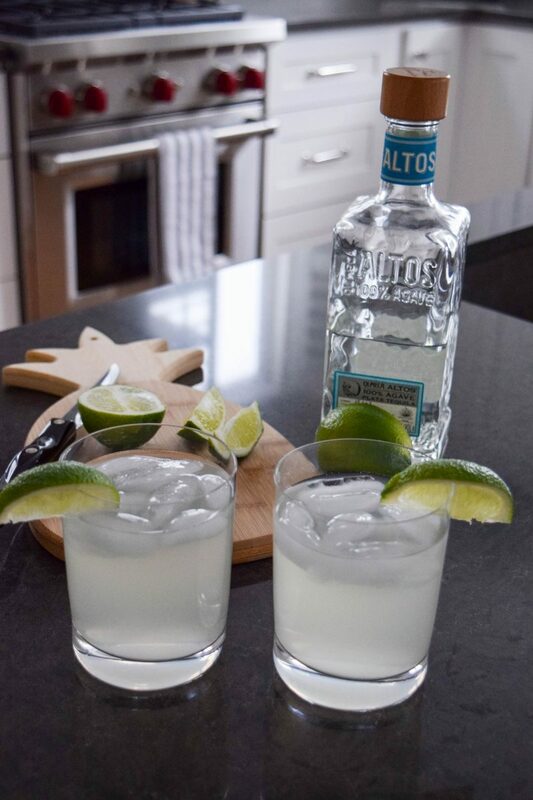 you know what they say…cinco de drinko! you nailed it! I made a version of the mule last thanksgiving swapping vodka for bourbon. I love how versatile they are. That sounds so yummy too- my husband would love it with bourbon! Aaaand now I want to make this drink. In February.